Master Your Health helps people with chronic health conditions to better manage their symptoms and their daily life. The workshop teaches skills for living a healthy life including: healthy eating; exercise; pain and fatigue management; stress management; communicating with your healthcare professional; managing medications; and planning and problem solving. Participants take an active role in the workshop. They set individual goals each week and work to accomplish their goals throughout the following week. Participants are asked to share their goals and progress with the group. Please contact WECHC to register 1-855-3605 or myh@wechc.org. Limited spots available. 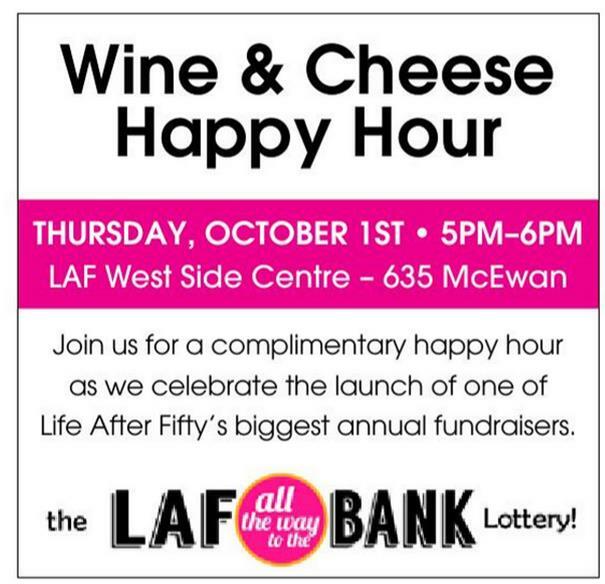 Stop by after work for some wine & cheese and hear all about the launch of the exciting LAF all the way to the Bank lottery! 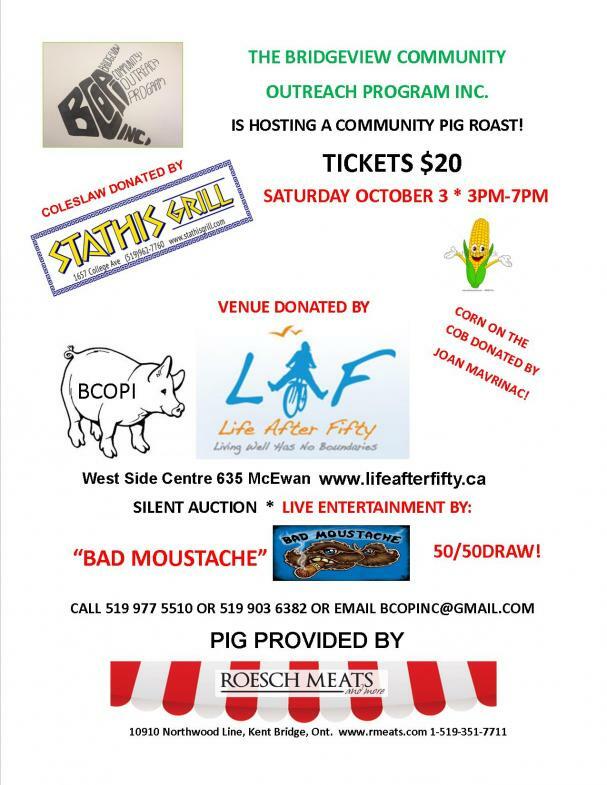 CLICK HERE TO ORDER YOUR FREE TICKETS TODAY! Join CARP Windsor-Essex Chapter 7 as they celebrate the 25th Anniversary of the United Nations International Day of Elder Persons and National Seniors Day, Windsor, Ontario with a flag raising, singing of "Oh Canada" and greetings from a number of speakers. Meet the Candidates before October's election! For the full event agenda, click here. : First Tuesday of each month, join us for the enjoyable afternoon spent watching one of the timeless classics on a big screen. Popcorn is available to purchase before the movie. This month, we will watch “Imitation of Life” from 1959 starring Lana Turner and John Gavin.